Golf could soon follow other sports such as cycling, with golfers wearing helmets to prevent injury claims. Crash helmets for golfers are being called upon by a health, safety and employment agency in a bid to reduce the financial burden of head injuries from errant golf balls. As first reported on Golf Punk, a health & safety expert from Protecting.co.uk claims thousands of pounds are being shelled out each year for head injury claims on the golf course. 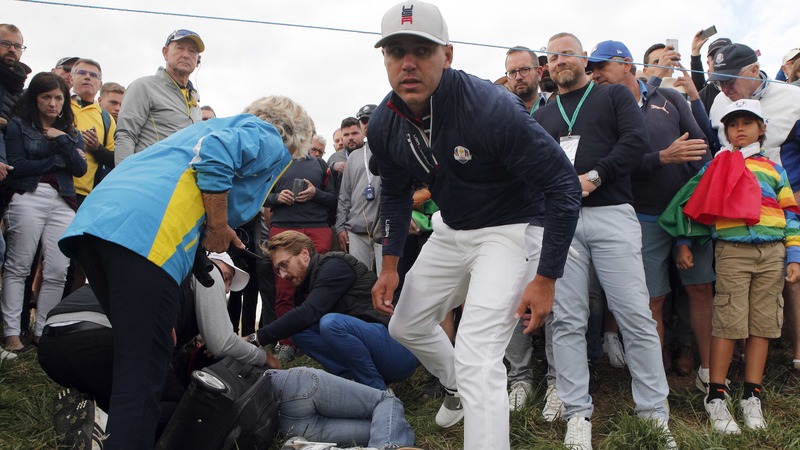 The biggest incident involving a head injury on the golf course happened at the Ryder Cup at Le Golf National five weeks ago when Brooks Koepka sent his tee shot into the crowd where a lady spectator reportedly lost eyesight in one eye. Following the incident, the lady has since pushed for a claim. At the time of the incident, Koepka said it was "one of the worst days of my life." A week later on the European Tour, a spectator was then struck in the head by Tyrrell Hatton's wayward golf shot during the Dunhill Links in Scotland. 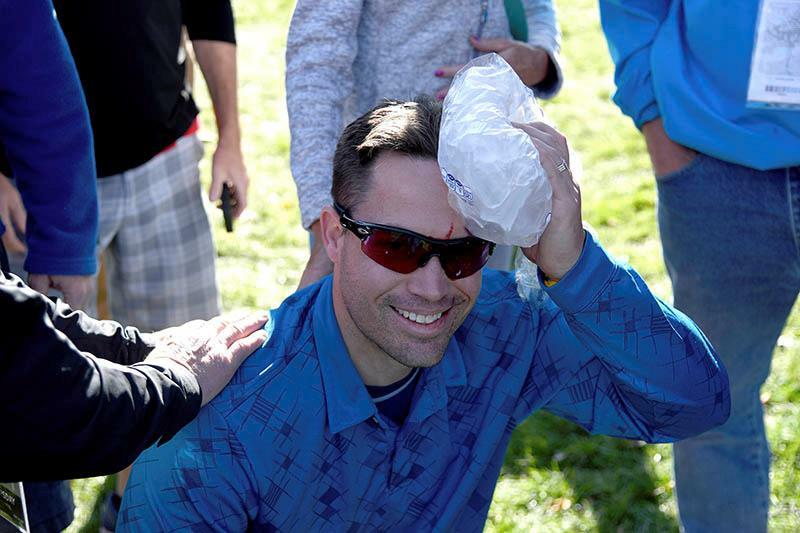 According to the latest stats, between 16 and 41% of amateur golfers are injured each year. Golf has an injury rate of 1.8 per 1,000, while rugby's injury rate is 1.5 per 1,000. "If you look at a selection of other sports played in the UK, both contact and non-contact, there are measures in place to reduce injury," said Protecting.co.uk's Chris Hall. "For example, amateur and lower-league rugby clubs insist on protective helmets; martial arts classes provide pads for their students - and this is not just to prevent injury. It's because financially, it makes sense for clubs (and their insurers) to prove they've reduced harm wherever possible. "Public safety campaigns are crucial to changing the status quo. Cyclists are aware that helmet use is recommended. With enough support from insurers, businesses and health & safety professionals, a similar scenario could happen with golfers."